In this day and age, it’s never been easier to buy what you need online, without ever needing to go into a store or, really, interact with other people. As a new parent, adult interaction may be what you need in the middle of dirty diapers and loads of laundry, but sometimes you just want to be able to stay home with your new bundle of joy. This will likely lead you to wonder where to buy baby formula online so you can do it in the comfort of your own home. And, luckily, there are a few different options when it comes to ordering your baby formula online versus purchasing it at the store weekly. One of the ways you can buy formula online is to simply visit your favorite store’s website, place an order for what you usually buy, and wait for the package to arrive to your home. Since many of us have stores we already know and trust, this might be the easiest and most logical option. Some stores even offer you the option of buying in bulk online whereas, in person, the same stores may not offer that aspect of formula buying. Some also offer formula subscription serves, wherein you have a recurring monthly order for your baby’s specific formula delivered to your home on time. This way, you won’t have to worry about remembering to order it every time so it arrives when you need it. Instead, the orders will automatically come so you are less likely to run out of in and need to dart to the store in the pinch. Overall, buying formula online is the easiest way to do it since you don’t have to leave home or worry about taking your newborn out of the house with you. Since both can be challenging as a new parent, ordering formula online is kind of a no brainer. Buying formula online as a whole has its benefits of course, but there are also some negative aspects to consider. Since you’re ordering a shipment, there’s always the chance that it gets delayed or is even lost in the mail in the process. While these instances are rare, they do happen. This would likely lead you to need to head out to the store to get the needed formula, which sort of defeats the purpose of online ordering. Formula cans can also get damaged in-transit. While this is par for the course at times, it can still be deterring to see your baby’s formula can with dents in it. Or even popped open because of its packaging and possible weight put on it from other packages during shipment. Once you’ve decided that buying baby formula online is the right move for you, you might want to consider buying in bulk. Whether you have one baby or three little ones at home, there’s no real harm in opting to buy in bulk to save you money and time. And, in some cases, shipping costs. On the other hand, there is the off chance that your baby doesn’t go through your bulk shipment as quickly as you’d originally planned. This can result in a spoiled formula that’s of no use to anyone. It’s also possible that your baby will stop reacting properly to whatever formula you’ve bought in bulk and need a new brand or special formula. If they need to switch to a sensitive option or come off of one and transition to another one, the formula you’ve just ordered in bulk may not be right for them anymore. Like buying baby formula online and in bulk online, going with a subscription service is easier than going into the store. It takes away from the pressure of getting enough formula for your baby without needing to pop back in the store in case they run out. You can set a proper schedule to receive as much or as little formula as you need each month and the order automatically arrive on time. There are, however, the downsides to consider. The good thing about a formula subscription is that it means you don’t have to remember to order formula. But if you decide to stop using the service, you might forget to cancel it and have the same order charged to your account and sent to your home, resulting in an overload of formula. Or, as with the danger of buying in bulk online, your baby might suddenly need to switch to another style of formula. And if the subscription order is already on its way to you at that time, there’s not much you can do to stop it. The best option by far for buying baby formula online is Amazon. If you have an Amazon Prime account, you can take advantage of deals that other parents might not be privy to. 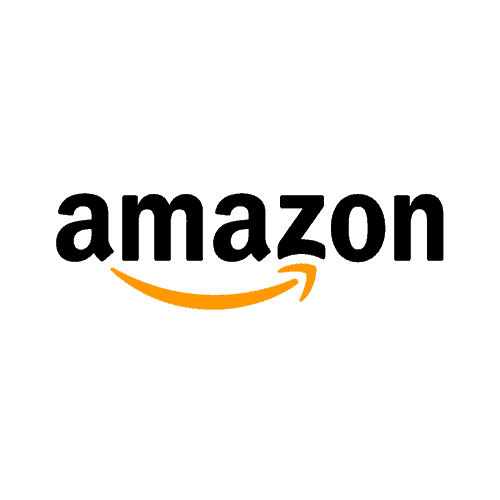 This includes, of course, the fast Amazon Prime shipping, and when it comes to formula, you’re going to want the fastest shipping possible. You can also opt for the Amazon Dash Button to make buying formula from Amazon even easier. The Wi-Fi enabled button can be placed anywhere in your home and you press it when you’re ready for another predetermined order of formula to be sent out. Amazon also offers subscription services to be able to get repeat orders of baby formula that way. While subscription, bulk, and Dash button options aren’t available for all baby formulas on Amazon, there are a few that are available in particularly good deals. The Similac Advance Infant Formula is part of Amazon’s subscribe and save program and is also Prime eligible. This means fast and free shipping with your membership and plenty of shipping options otherwise. You can opt for it to arrive monthly, or every two, three, four, five, or six months in the amount you set. The formula itself is made with Similac’s Opti-Gro blend of vitamins and minerals to give your baby the nutrition he or she needs during their first year, so you know you’re getting something useful with that subscription. You can buy it as a one-time purchase of $95 for a pack of three 36 ounce cans. Or, subscribe and pay $90 for three 36 ounce cans of Similac Advance Infant Formula. There are no recent or current recalls on this formula. “Great price. I gave this product to all three of my babies after I stopped breastfeeding around 8-9 months old. All three babies did well with the change to Similac. Our youngest is 10 months old and drinks it down quickly with no problems. I highly recommend this product.” – Tammy Trietsch on Amazon. “As always, my shipment of milk arrived promptly and ready to serve. I’ve purchased numerous cases of milk from this vendor and have never been disappointed to this point and I plan to continue buying milk as long as my lil man needs it.” – D. Sneed on Amazon. You can also purchase Gerber Good Start Gentle on Amazon, among many other different kinds of formulas. Like the Similac, it offers a subscription service and you can get a Gerber Dash Button to make on the fly purchases a little easier. The formula itself is made with all of the necessary ingredients found in breastmilk and smaller proteins for easier digestion. It’s meant for babies in the first year and gives them the right vitamins and minerals for healthy and steady development. You can buy a six-pack of 23.2 ounce containers of the formula for $166 or subscribe and pay $160 for a six-pack of 23.2 ounce containers of Gerber Good Start Gentle. There are no recent or current recalls on this formula. “Our two month old has tried a lot of formulas. Thanks to mom and dad, he’s getting variety. This one works as well as any others. He’ll drink it down, day or night. It works great and is easy to set up in the Baby Brezza. Overall, it’s a good formula for a good price.” – Jason Stokes on Amazon. “Another great product from Gerber. This formula is 100% whey protein and full of probiotics, so it takes out an additional step of having to add supplements into the routine. It has a very similar consistency to milk which has made the transition much easier than anticipated. It mixes very easily with none of that weird foam you can get with some other products on the market.” – Maine Writer on Amazon. 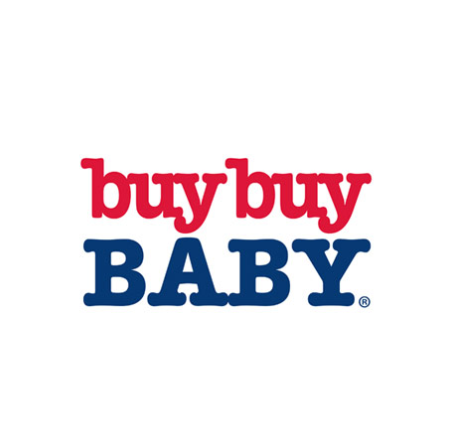 Most parents know of Buy Buy Baby as the baby store that seems to have it all. So it’s not too surprising that you can also buy formula on the store’s website. Opt to order and have it shipped to you, since orders above $39 offer free shipping, or have it shipped to the store if you’d rather pick it up without the hassle of searching for it in the store. But the inexpensive shipping makes it easy to shop in bulk for baby formula and there are so many options to choose from. No matter what your formula needs are, you can likely find it on the Buy Buy Baby website to buy it once or purchase in bulk. Because of the Happy Baby Stage 1 Organic Infant Formula’s price, you’d only need to spend a few more dollars to get that free shipping. But the free shipping at that point could enable you to buy in bulk, which is a huge plus for some parents. This particular formula is organic, so if that’s your preferences, there are plenty of options on the Buy Buy Baby website. The Happy Baby formula has easy to digest proteins and DHA and ARA for brain and eye development. On the Buy Buy Baby website, you can get a 1.31 pound tub of Happy Baby Stage 1 Organic Infant Formula for $30. “I really liked this formula for my 11mth old daughter, and she liked it as well. Usually, formula causes her to become very constipated, and with other brands, I’ve had to mix the gentle formula and a stool softening formula in order to keep her regular. Not with Happy Baby.” – Steaky01 on BuyBuyBaby.com. As another organic formula offered on the Buy Buy Baby website, Earth’s Best Organic Sensitivity Infant Formula is fortified with iron for brain and eye development in infants. It’s made with less lactose than other formulas, so it’s more gentle on your baby’s digestive system. Overall, it had many of the same nutrients as breastmilk, which is what most parents look for in their baby’s formula. On BuyBuyBaby.com, you can get a 35 ounce can ofEarth’s Best Organic Sensitivity Infant Formulafor $42. Check out the latest price! “This formula was one of the ones that our pediatrician recommended when we discovered that baby wasn’t getting enough from being EBF. We did not have any stomach or allergy issues when supplementing with this formula.” – Stephanie Webster on Amazon. “My boy took this without any issue! I had been breastfeeding up until he was 10 months old, when I was no longer producing enough to keep up, so we started supplementing with this. He switches back and forth between breast milk and this happily!” – Johnye Passmore on Amazon. 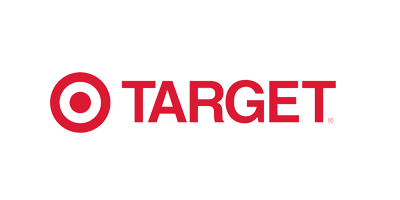 Target is the go-to source for a lot of parents’ needs, from diapers to formula. It’s only expected that the store also has a convenient online ordering option that goes beyond simply adding something to your cart and checking out. Instead, it also offers the Target Restock program. With your Target Red card, you can order up to 45 pounds of products, which includes many formulas, for a flat fee of $2.99 for next day shipping. It’s similar to the Amazon Prime Pantry, and this way, you can include other baby necessities. Target also now has an easy web pickup option where store employees bring your online orders out to your car, so you can always opt for that so you and your little one won’t even need to get out of the car to go in and pick up. The Enfamil NeuroPro Infant Powder Formula is one of the many formulas offers in the Target Restock option. It’s made with a healthy blend of fat-protein blend of MFGM and DHA which are primarily found in breastmilk instead of actual formulas. It also has non-GMO ingredients to give you peace of mind and can give your baby everything they need during the first year of their life. It’s $28 for a 20.7 ounce container of Enfamil NeuroPro Infant Powder on Target.com. There are no current or recent recalls on this formula. “This has been a lifesaver in our house. Even if you think that your child may have some acid reflux or lactose issues, give this a try. My little one was diagnosed with both acid reflux and lactose sensitivity. Gave this formula a shot and it has been perfect.” – Bethany Johnson on Amazon. “I really liked trying Enfamil NeuroPro Infant Formula. My daughter really liked it and she drank her whole bottle without any hesitation. She didn’t have any adverse reactions to it and it didn’t make her gassy or constipated like some other formulas.” – C. Reyes on Amazon. The Similac Alimentum Infant Formula Powder can also be purchased on Target’s website through the standard way or with the Target Restock program. The formula itself is made with hypoallergenic ingredients and DHA and ARA for healthy eye and brain development in babies during their first year. It’s also said to reduce colic-related crying in babies after the first 24 hours of switching to it. This is likely due in part to the smaller and easier to digest proteins in the formula. Om Target.com, you can get a 19.8 ounce can of Similac Alimentum Infant Formula Powder for $40. “My son was born 7.5 weeks early and had problems with Neosure, Gentlease, and sensitive but the doctor recommended this brand and my baby has been thriving. He no longer has problems digesting the milk.” – Erica Morales on Amazon. “This formula has been a life saver. The pediatrician switched us to this about a week ago now and I can not rave enough. She still has gas, but nowhere near before the switch. Her colic is also much less.” – J. Macker on Amazon. Whatever your reason may be for wanting to order formula online instead of buying it in the store, here are a handful of solid options for you. Even if you’d rather not go with a subscription service or order in bulk, it’s sometimes just easier to buy your weekly or monthly formula supply online instead of dealing with long lines and the general hassle of some stores.